Starting today, March 10 2014, new VCP certifications must be re-certified within two years of it’s earned date. Anyone who currently has their VCP certification prior to March 10 2013 has until March 10, 2015 to re-certify. Take the current exam for your existing VCP certification solution track. For example, if you are a VCP3, you could take the current VCP5-Data Center Virtualization (VCP5-DCV) exam. 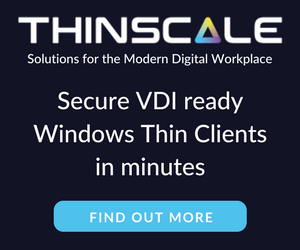 Earn a new VCP certification in a different solution track. For example, if you are a VCP-Cloud, you could recertify by earning VCP5-Desktop (VCP5-DT) certification. Advance to the next level by earning a VMware Certified Advanced Professional (VCAP) certification. For example, if you are a VCP5-DCV you could earn VCAP5-DCA certification. I can understand why they are doing this but I don’t agree with the changes. 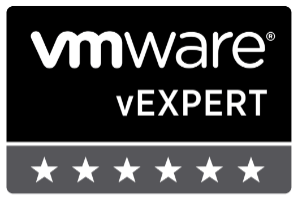 As per the announcement if you let your certification expire, “Your certification will be revoked,and you will no longer be entitled to use the certification logo or represent yourself as VMware certified“. Really? You mean everything that was done prior and after taking the exam means nothing? I realize many others do have a re-certification policy in place but in my opinion VMware already did too… It was VCP3, VCP4, VCP5, etc. I have a VCP5 but when VCP6 (or whatever version) comes out it would be up to me if I wanted to take the most current exam or not. With this new policy after March 10 2015 I’m no longer a VCP at all as my certification, per VMware, is being revoked. The VCP to me and others is a badge of honor, after all the time, work, and studying you’re proud of it and want to show it off and even keep it. With the new policy, after two years none of the means nothing and it’s as if you never took it – the cert is revoked. vSphere 5.5 Update 1 has been released, includes VSAN.